WINK+ GO is a WINK+ app feature that allows motorists to earn points when they pass through an operational Electronic Road Pricing (ERP) gantry. How do I earn WINK+ points via WINK+ GO? New users must download the WINK+ app, register a user account and key in the 16-digit CAN ID of the NETS FlashPay Card / NETS Contactless CashCard that is inserted in their In-Vehicle Unit (IU). Exisiting WINK+ users must key in the 16-digit CAN ID of the NETS FlashPay Card / NETS Contactless CashCard that is inserted in their In-Vehicle Unit (IU). The 16-digit CAN ID is found at the back of the NETS FlashPay Card / NETS Contactless CashCard. WINK+ points will be awarded only to users who have keyed in a valid CAN ID number. WINK+ points will be awarded to users only when the NETS FlashPay card / NETS Contactless Cashcard is inserted in the IU at the time of passing through an operational gantry. Otherwise, no points will be earned. How many WINK+ points do I earn, each time I pass through an ERP gantry? 1 WINK+ point will be awarded for 1 Electronic Road Pricing (ERP) transaction. No points will be awarded for Car Park and Top-Ups transactions. How can I redeem my WINK+ points earned via WINK+ GO? Please allow at least 1 working day for WINK+ points to be reflected in the app after passing through an operational ERP gantry. Click on 'Account' > Select 'WINK+ GO' > Tap on the advertisement banners to redeem points. There will be one advertisement banner for every ERP transaction. User will need to click on each banner to redeem all the points. Unclaimed points will expire after 24 hours after appearing in WINK+ GO. Click on 'Account' to view your updated points. WINK+ points will not be credited to 'Account' if users do not redeem within the stipulated time frame. 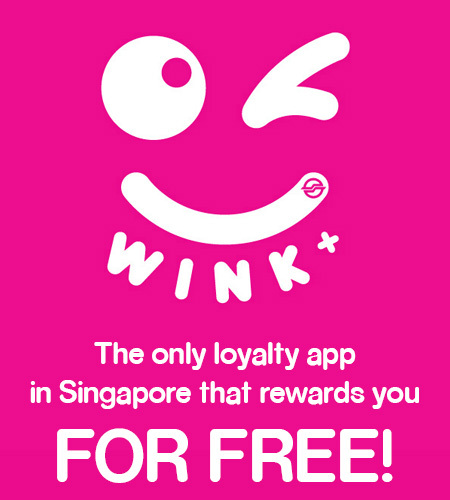 2 Aug - Points should appear in WINK+ GO for redemption at around 10am. In the event of data transfer issues, the points will be reflected 2-3 working days later. How are the WINK+ points via WINK+ GO credited into my Account? WINK+ points are allocated to users 1-2 days after ERP transactions. These points will only be credited to your account once you tap to redeem them on the WINK+ GO page. Can I exchange my WINK+ points for cash? WINK+ points are not transferable or exchangeable for cash or kind. How many cards can I register to earn WINK+ points via WINK+ GO? You may register up to 3 Contactless NETS FlashPay/CashCards. Will I lose my WINK+ points if I lose my registered Contactless NETS FLASHPAY/CashCards? No, you may still access your accumulated WINK+ points from the lost Contactless NETS FlashPay/CashCard through your WINK+ account. 1 WINK+ point will be awarded for 1 ERP transaction. All WINK+ users are also bound by the detailed Terms and Conditions.